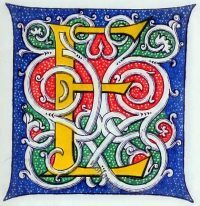 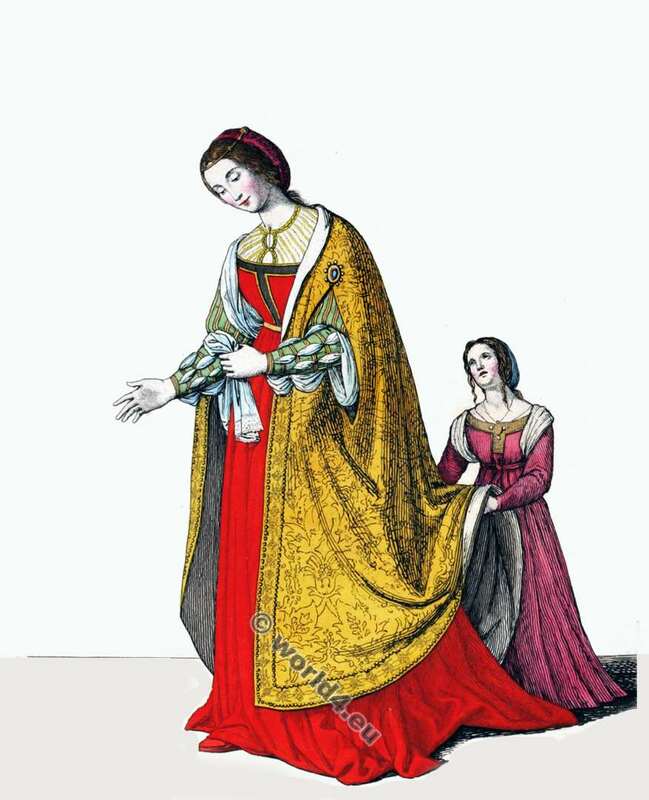 Costumes and Fashion during the 15th century. 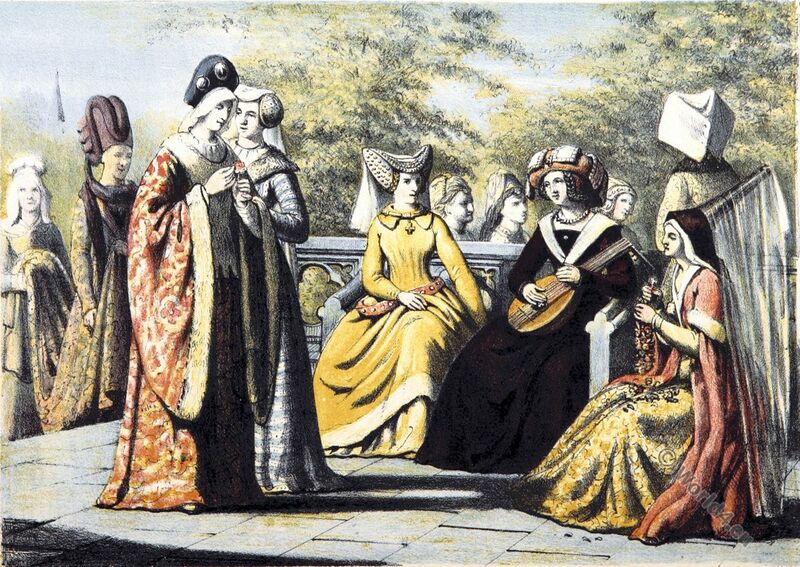 Fashion of the late Gothic, Italian Renaissance. 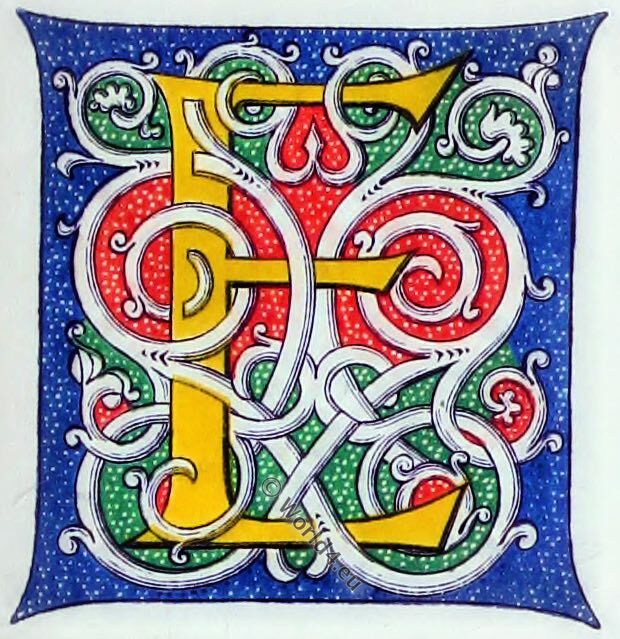 Heyday of the Burgundian fashion. 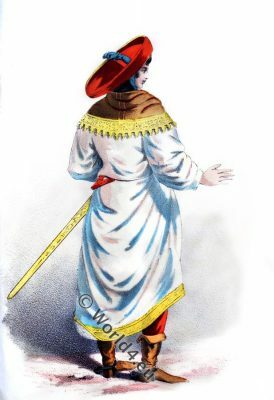 A German noble costume in the 15th century. 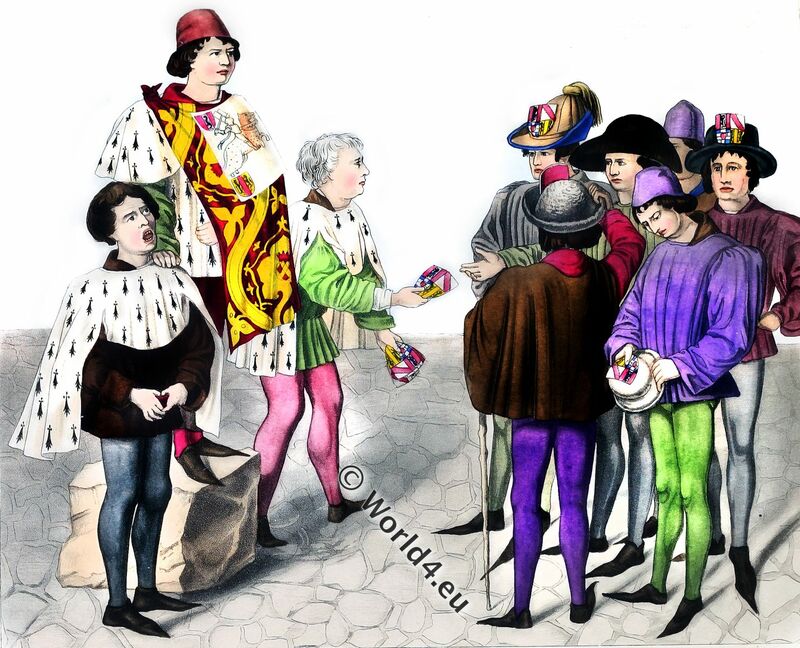 This entry was posted in 1450, 15th Century, Germany, Nobility, Renaissance and tagged Renaissance fashion era on 4/20/17 by world4. 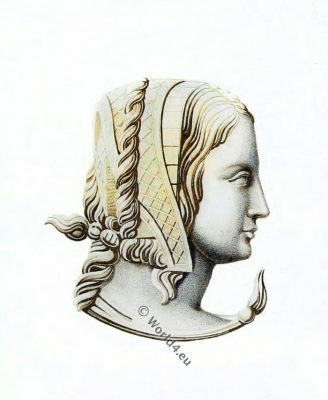 Anne of Bretagne, Claude de France? ELEGANCE and gracefulness, which had seldom exhibited themselves in the horned and peaked head-dresses of the ladies of the fifteenth century, began again to show themselves in the various headdresses of the beginning of the sixteenth. 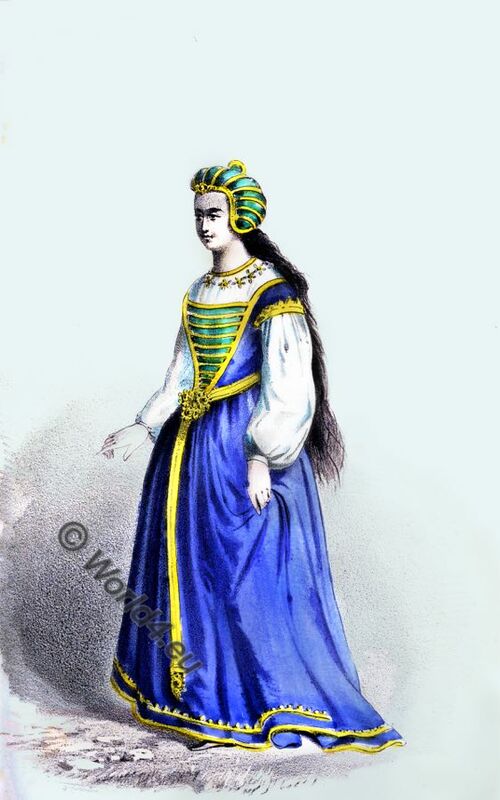 This was more especially visible in France, which country, then as now, took the lead in the fashions of dress. 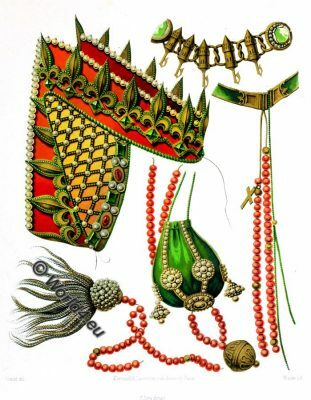 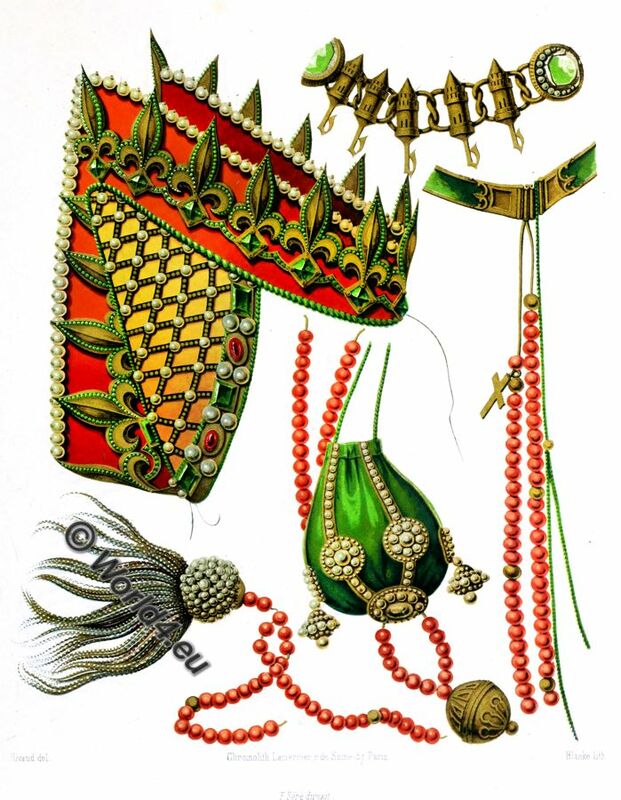 This entry was posted in 15th Century, England, France, Headdresses, Middle Ages and tagged Henry Shaw, Medieval costume on 1/15/17 by world4. 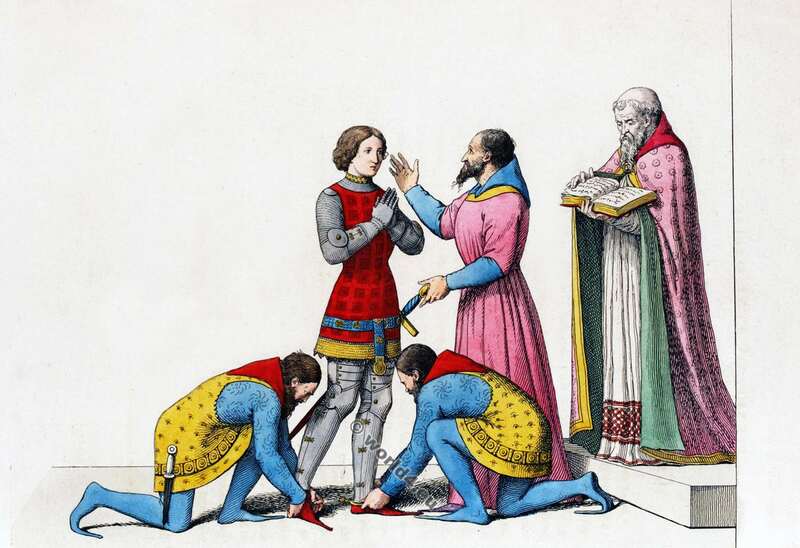 Frédéric III. 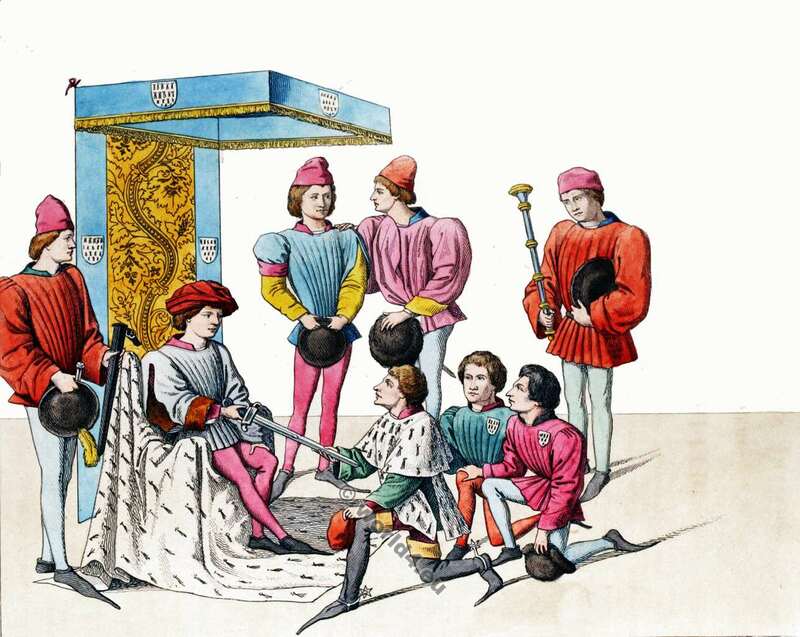 1415 -1493. 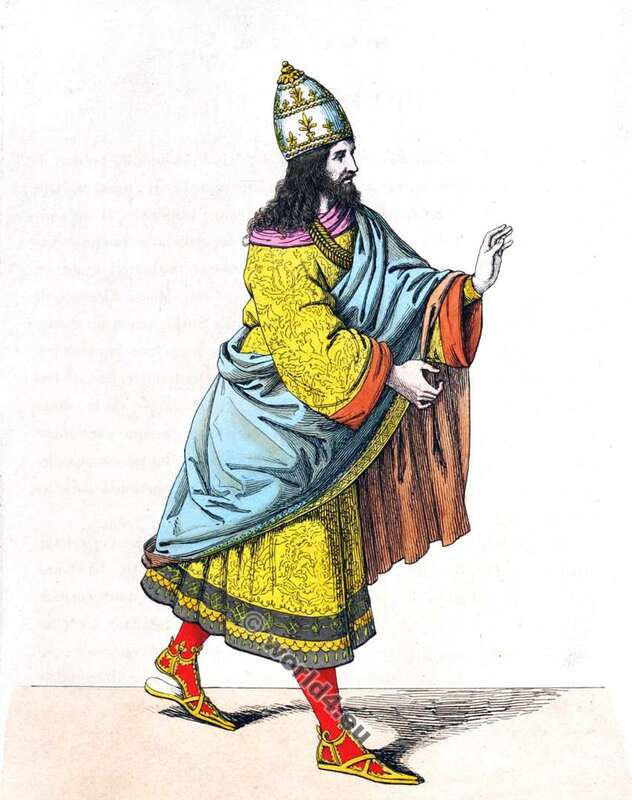 Empereur du Saint Empire romain germanique. Empereur du Saint Empire romain germanique. 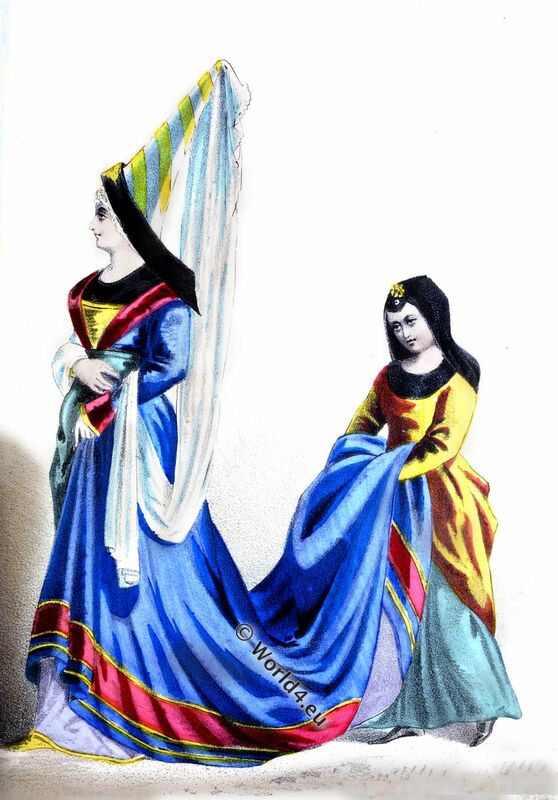 Costume Histoire. Fin du Moyen Age, au début de la Renaissance. This entry was posted in 15th Century, Court dress, Germany, Italy, Middle Ages, Nobility, Renaissance and tagged Costumes historiques, Medieval costume, Renaissance fashion era on 4/26/16 by world4.